Regularly recording an animal’s weight is essential for keeping track of its health. However, weighing can be a traumatic experience particularly for aquatic and semi-aquatic animals as they have to be removed from the water where they spend all or most of their life. Turtle “Alpha” basking on top of the scale. Thanks to it’s unique “flow-thru design which channels fluids that may enter the housing through strategically located drain holes”, this scale immediately sinks to the bottom of the aquarium while remaining fully operational. All that’s left to do is to wait until the animal takes a rest on the weighing pan and record the weight. 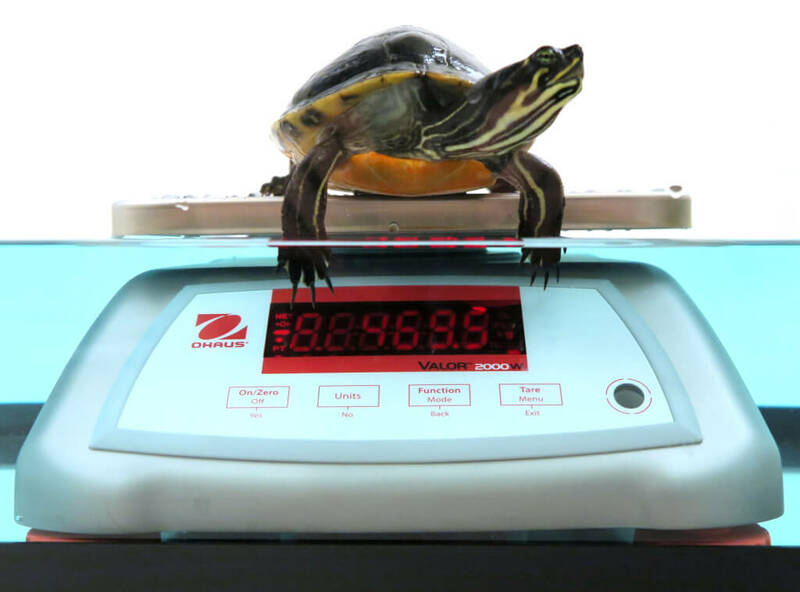 There’s no better way to weigh aquatic reptiles, fish and marine mammals! Available in capacities from 1.5kg to 15kg, Ohaus’ Valor 2000 can be found here.